We are dedicated to getting more of your vendors to use the Vendor Portal, so we've updated quite a bit! 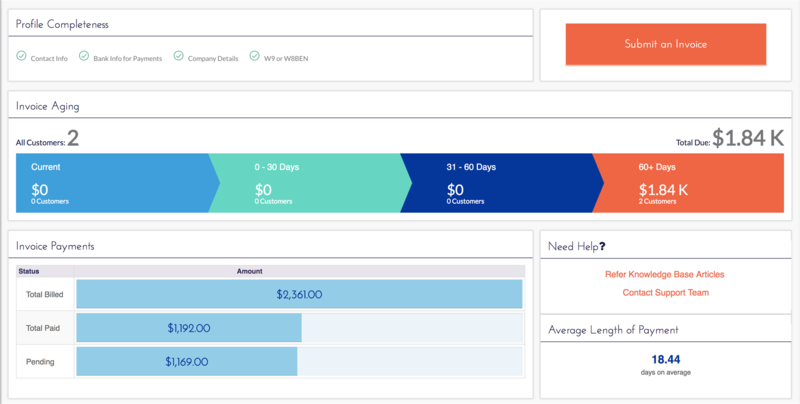 Vendors now have an updated dashboard with more analytics plus an easier invoice submission experience. As part of our initiative to make Accrualify products work for your international subsidiaries and vendors, we've added in the ability to work with foreign functional currencies. See invoices in their native currencies while viewing the total in the functional currency of your Accrualify instance. You can now create more detailed items when manually adding in invoice details in the admin portal. Simply go to the Invoice Items tab in the invoice creation modal and enter in all the details! 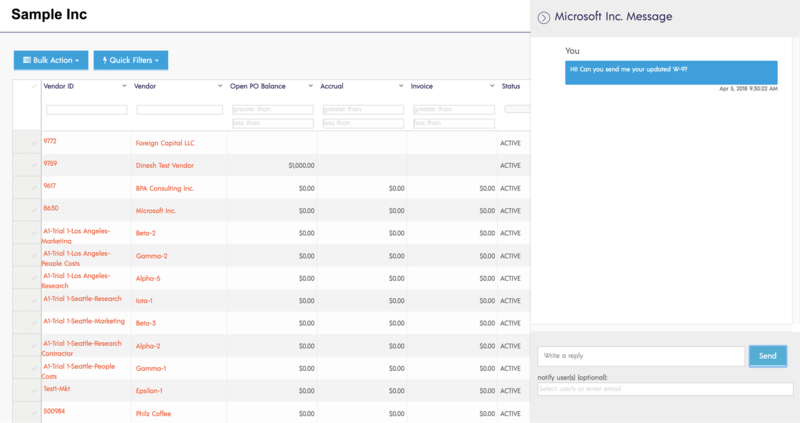 Add messages directly from the grid view in the vendor, purchase orders, invoices, and accrual sections. You are no longer required to go into the detail view in order to do this (unless you want to). Enhancements to the admin dashboard. Updates for inactive vendor contacts. Cleaned up user interface in certain places.